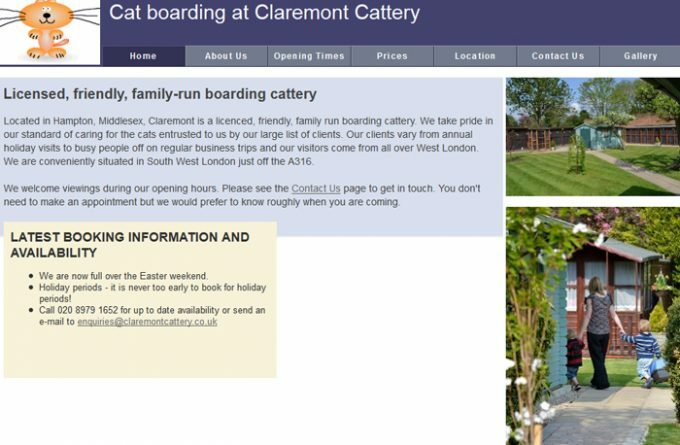 Located roughly 5 miles from Heathrow in Hampton, central to Twickenham, Feltham and Sunbury on Thames, the family-run Claremont cattery is ideally located for cat owners in South West London. The cattery accommodation, heated in colder months, is situated in secluded garden surroundings. The cattery offers single, double and family units, with family units capable of housing up to 4 cats from the same family. For more information about Claremont Cattery, you can visit them in person, visit their website, telephone or send them an email (if available) using the form below.